The tingarri* people, men, women and children travelled north through Wirrintjunku, Pukaritjarra, Tarkal, Nyun and Kirritji as they move toward Tjukurla. Tingarri Song Cycle depicting the route of dreamtime people who travelled from the sea near Port Headland to the northern part of the central desert. 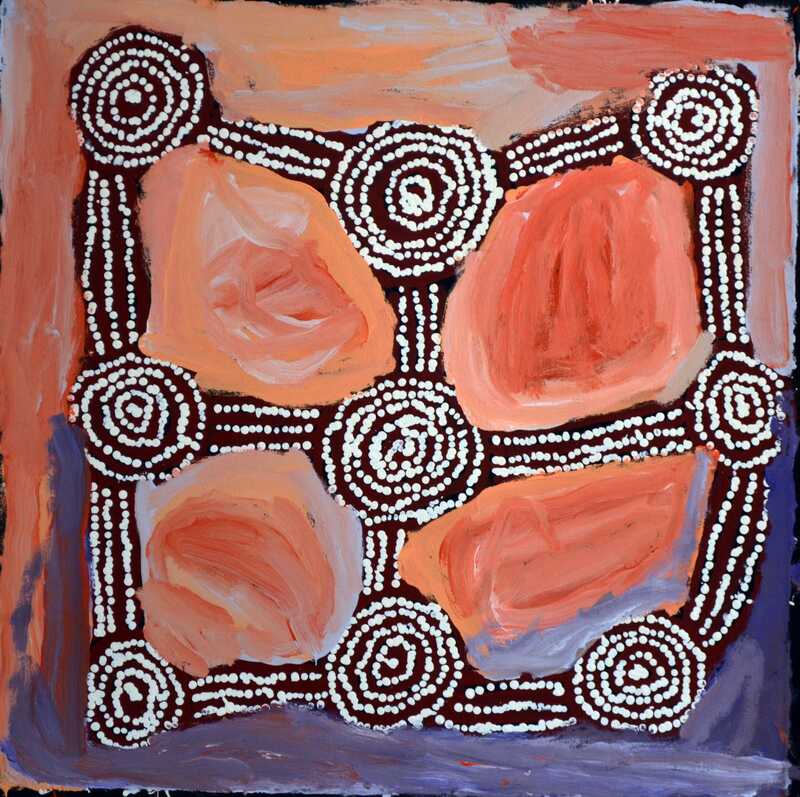 It also refers to the route and to the dreamtime people who followed that route. Tjukurrpa - Physical feature or part of the countryside associated with a dreamtime story; character from a dreamtime story.